WATCH Why haven't we thought of this Thanksgiving pizza? 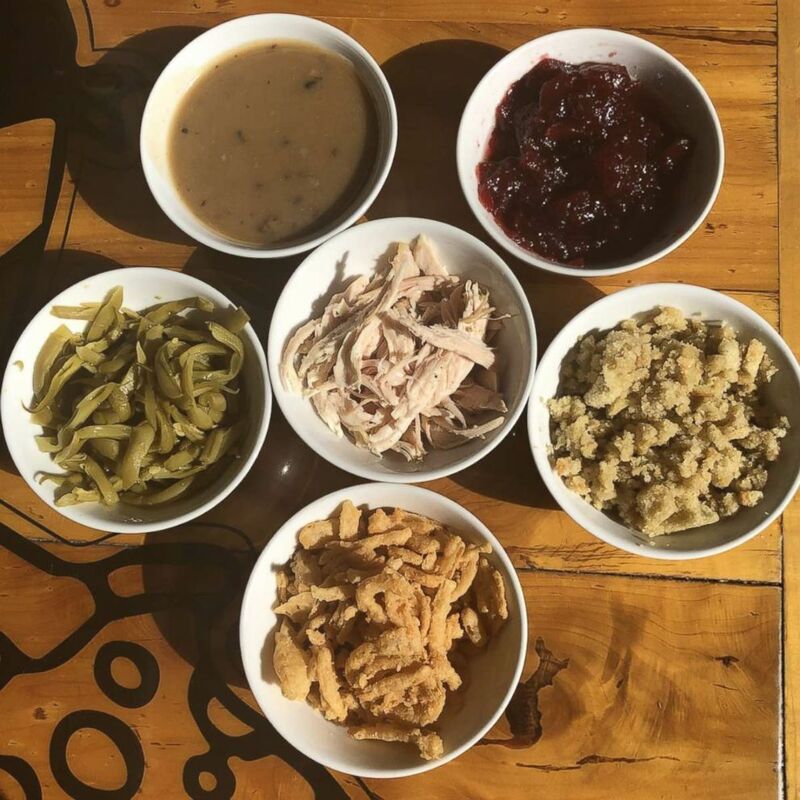 How do you make the deliciousness of Thanksgiving even better? You combine it all on top of a pizza and call it "the feast." 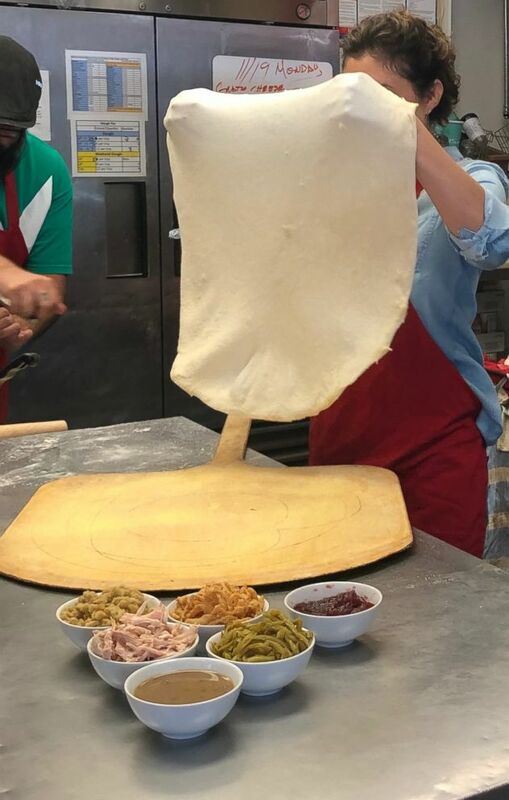 That's what The Pizza Joint in El Paso, Texas, has done with its annual Thanksgiving pizza, which combines deep-fried turkey with mushroom gravy, green beans, stuffing and even cranberry sauce. 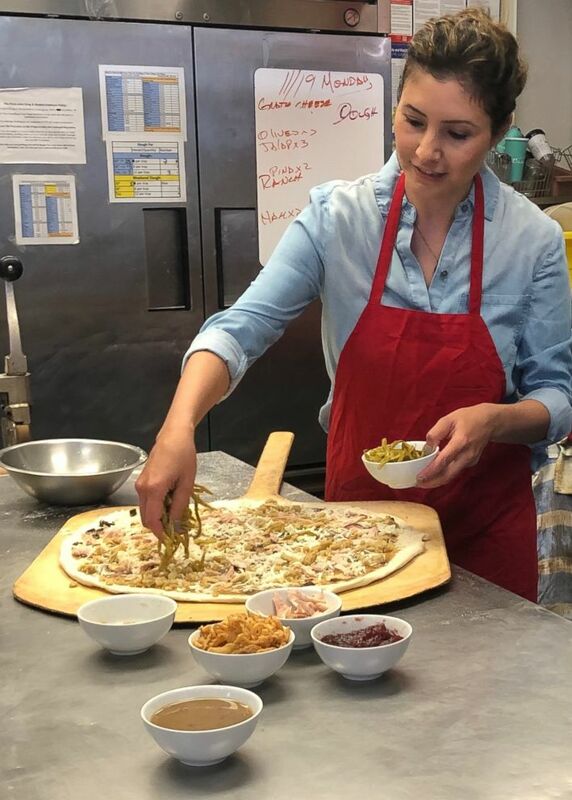 "I always tell people to imagine the pizza dough as your dinner roll," said The Pizza Joint's owner, Mel Maese Goldberg. "Pizza goes with anything." 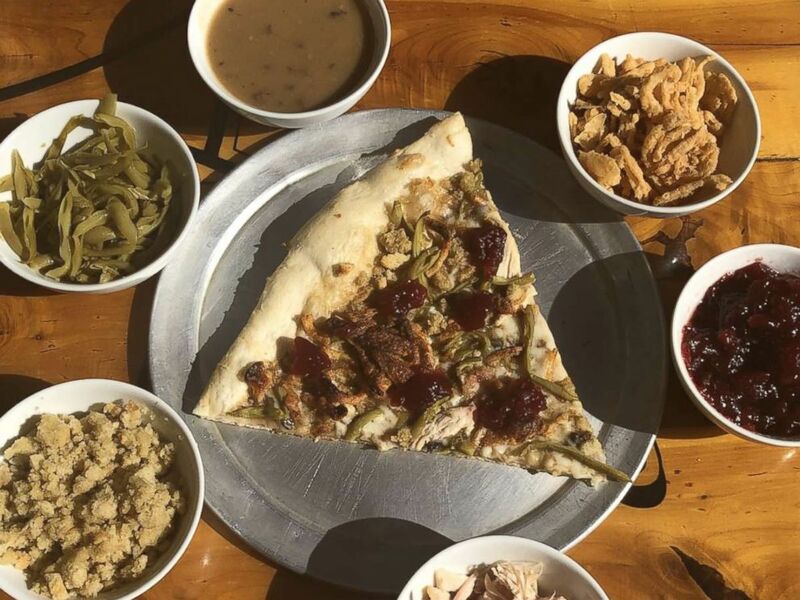 The Pizza Joint in El, Paso, Texas, created this Thanksgiving pizza featuring turkey, cranberry sauce, gravy and more. Goldberg's three pizzerias have sold "the feast" for the past eight years because it's proven quite popular. It’s like Thanksgiving in every bite. The special pizzas are sold on a first-come, first-serve basis and are only available the week of Thanksgiving. The process starts a few days before the pizzas go on sale, when Goldberg deep-fries the turkeys. Then she makes a special mushroom gravy that serves as the pizza sauce. The gravy, turkey, French green beans, stuffing and crispy fried onions go on top of the pizza and into the oven. Once the pizza is out of the oven, a few dollops of cranberry sauce are added to each slice and -- voila -- the most nontraditional Thanksgiving dish is ready. "It gets better every year," Goldberg said.